Recent changes in NSW bushfire regulations have seen some customers become wary of building desks in flame zone areas. With Outside Concepts you can be confident that our advice is up-to-date and that construction methods accurately reflect the relevant Australian Standard. This deck is an example of a flame zone compliant construction. Designed in sympathy with the house this deck features tiles over compressed sheet flooring supported by a steel frame. The handrail is powder-coated steel and stainless steel wire. Recent changes now allow timber handrail to be used in flame zone locations. 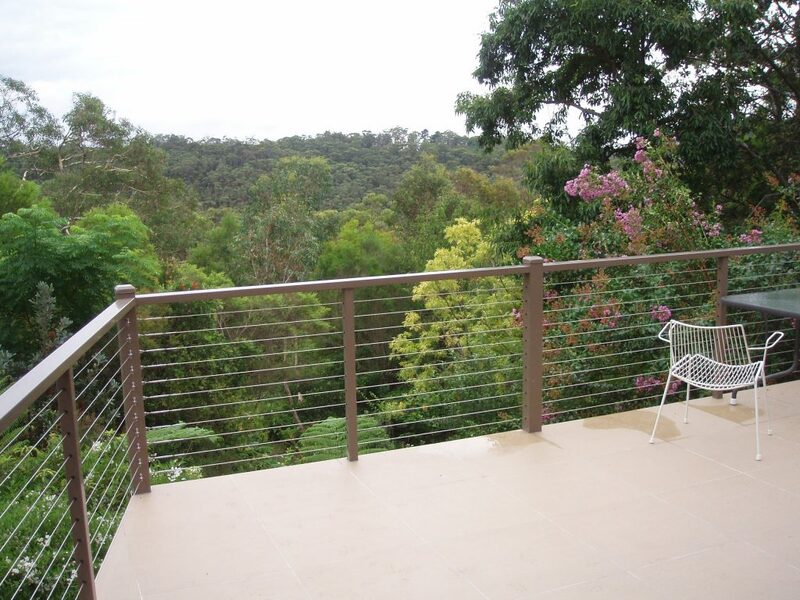 So now you can enjoy your bush views, peace and seclusion with 100% confidence that your deck in the Blue Mountains is built to last.